Soft, 100% cotton set. This top fits like a gem. Slightly fitted with back and front darts and 6″ side vents at the bottom for ease over the hip. Beautiful embroidery on bottom of sleeves, down each side of buttons and around the scoop neckline. Scalloped lace to finishes the bottom hem. Ties at key hole opening at the neck. Mix and match this versatile top with your other LDS Temple clothing or add to jeans for a chic, casual look. NOW IN PETITES NO RETURNS OR EXCHANGES. Soft, 100% cotton set. This top fits like a gem. Slightly fitted with back and front darts and 6″ side vents at the bottom for ease over the hip. Beautiful embroidery on bottom of sleeves, down each side of buttons and around the scoop neckline. Scalloped lace to finishes the bottom hem. Ties at key hole opening at the neck. Mix and match this versatile top with your other LDS Temple clothing or add to jeans for a chic, casual look. NO RETURNS OR EXCHANGES. I bought the top and skirt separately and am very please with the fit and the look of them together. I actually bought them because I wanted something for a wedding and couldn’t find something light and pretty and the correct color and modest. Since these are both cotton- I just dyed them in my washing machine to coordinate with the wedding. Lots of compliments. A cute outfit I will wear often. Did not like this top as the fabric is real gauzeie and way too light to wear in the Temple as a Temple worker and too wrinkly. Returned the blouse and skirt as I was very disappointed in the quality of fabric! It is much too big and too long. I am 5 feet tall. I also think it a little sheer for the temple. I am returning it. 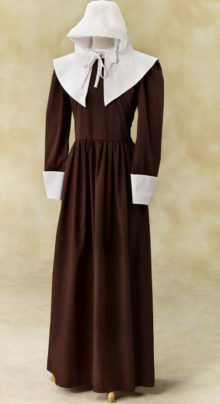 I purchased the Trinidad top to wear with the Trinidad skirt. They make a beautiful matching outfit. The top is slightly see through, but I plan to wear a cap-sleeved tee under it to the Temple. Very pleased. 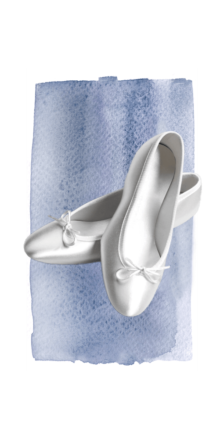 Simply elegant satin slipper with bow. Light grey, leather sole.